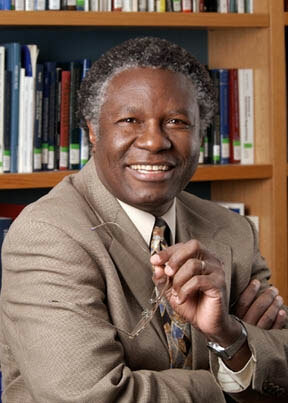 Can biotechnology transform African agriculture: an interview with Professor Calestous Juma – One Billion Hungry: Can We Feed the World? A key concern amongst many is that biotechnology is purely for large farmers but Juma disagrees stating that it is ‘scale neutral’. 80 to 90% of GM farming is small-scale as can be seen of GM cotton farmers of India and China. Another criticism of biotechnology is the cost to buy seeds. Juma agreed that GM seeds do cost more but that these costs must be balanced against savings made from reducing pesticide costs and greater income from bumper harvests. He also pointed out that many of the original patents owned by large corporations have now expired and this knowledge is in the public domain. Africa, as a latecomer, can harness this technology, while avoiding the mistakes of others. In order to take advantage of GM, the most important action to take is to invest in the African agricultural system as a whole. As Juma put it, if agriculture is not functioning you can’t take advantage of the technology. Similarly without mobile phone infrastructure you can’t use a new application. He is optimistic that this is happening: that African presidents are taking leadership to improve the agricultural sector. And we are seeing a change in the character of leadership in Africa. 7 years ago there were very few presidents with a technical background but last year 6 countries elected engineers as presidents. Nigeria’s president Goodluck Jonathan, has a PhD in zoology. Even more so, he is impressed at the creativity of people, particularly of young people to respond to the challenges agriculture in Africa and elsewhere are facing. “The instinct of humans is to be more creative in the face of challenges.’ And he urges Africa’s youth to study genetic engineering. As with young people in Asia studying microelectronic engineering 40 years ago, genetic engineering, he believes, is where future jobs lie. Juma, in the conclusion of the interview, summed up the two most important actions we can take to support agricultural development in Africa. Firstly stepping back from dogma and keeping an open mind, and secondly, giving Africans space to experiment and articulate their needs. Despite the influence of North America and Europe on the GM debate, it is ultimately up to Africans to decide whether they want GM.